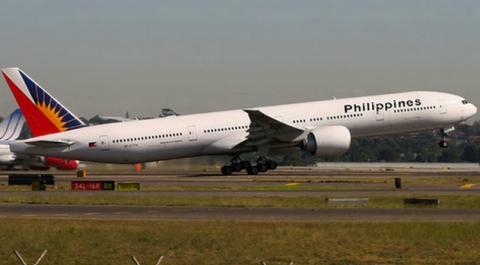 Philippine Airlines is looking at flying to New Zealand as part of an international expansion, Philippines media report. The flag carrier's president Jaime Bautista said the airline is studying flying to Auckland as it is set to launch new flights to China and Port Moresby in Papua New Guinea in the next few months. "Maybe this year. We are still studying it. It will actually depend on the numbers,"Bautista said in the Philippines Star. Auckland Airport would not comment directly on the reports saying; "we are in discussions with a number of international airlines about the possibility of them flying to Auckland." However, an amended air service agreement signed between the two countries last year was aimed at building towards possible direct flights. Transport Minister Simon Bridges said last November the Philippines was an important market and more than 40,000 Filipinos live and and work here. Nearly 14,000 Filipinos visited New Zealand in the year ended September 2014. In the same period, just over 19,000 New Zealanders travelled to the Philippines as their main overseas destination. The amended agreement allowed Air New Zealand to begin its plans to code-share to the Philippines with Singapore Airlines as part of the partnership between those two airlines. "The new code-sharing provision will help develop the market and build momentum towards possible direct flights in the future," Bridges said. Philippine Airlines' rival airline Cebu Air has also talked early last year about flying to New Zealand. Philippines Airlines operates a network of services within the Philippines as well throughout Asia, North America, Australia and the Pacific. It has more than 70 planes.